The MMA fighter was arrested in March 2019 on strong-armed robbery and criminal mischief charges. McGregor allegedly smashed the phone of a fan who reportedly tried to take a photo of him outside the Fountainebleau hotel in Miami Beach. 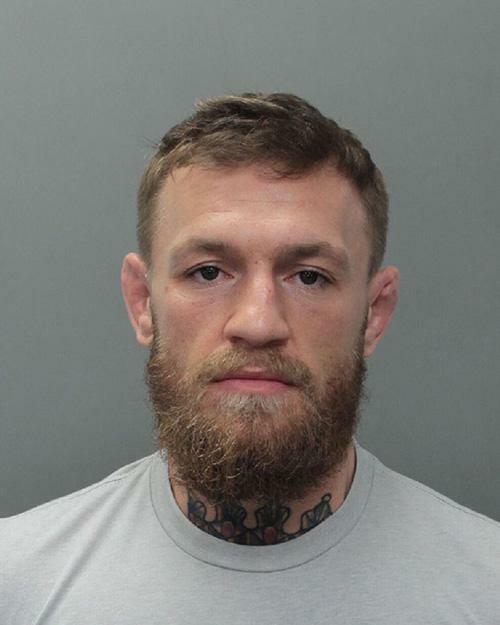 McGregor posed for a mug shot after being booked into the Miami-Dade jail.